HIGH POINT, NC - Befitting the newly renovated Marge Carson showroom, fabric introductions at the 2013 October Furniture Market are fresh. They're inspired. They're simply stunning. It starts from the moment guests step into the foyer. Done in blacks, grays and silvers, the space is reminiscent of the "Roaring '20s," right down to the Swarovski crystal trim that has the look of a â€œflapperâ€ headband. It's immediately clear that the showroom ahead has a special treat in store. Christine Rendino, who leads the design team, confirms that Marge Carson's trademark high-fashion statement is apparent throughout.  "Overall, it's a little more neutral than it's been recently, with the pendulum swinging away from the recently popular grays," she says. "Blues are still important - from powder to teal to midnight blue - as well as sagey greens, olives, terra cottas and chocolates." But the overall color palette merely scratches the surface of this season's fabric story. Lush velvets are evident at every turn, like the "Crocodile Ombre" cut velvet. Some fabrics are works of art in their own right; there's a sapphire blue pattern featuring peacock feathers and a chocolate fabric with contemporized gold flowers, both with a distinct painterly effect. In fact, touches of gold can be found throughout the showroom, as if it's been given the Midas touch. There's gold trim, gold beading, gold metallic threads running through fabrics, even a contemporary recliner wrapped in a soft Italian suede with an embossed dot pattern that's been hand-brushed with metallic gold. Not surprisingly, the various colors and textures play out beautifully in this season's upholstery introductions. 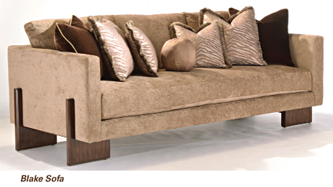 The Audrey sofa, for instance - measuring just 86 inches in length - allows customers to have the dramatic impact of Marge Carson styling even in smaller spaces. The diamond-tufted sofa is being shown in "Mega Mocha" chenille, the perfect backdrop for an exquisite pillow fabric, a rich chocolate with fine embroidery and crocheted silk flowers that have been appliqued. 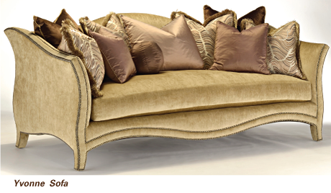 While the Audrey sofa has a curvaceous silhouette, the Blake sofa is a complete contrast. Supported by an alder wood-veneered base, its clean lines give it a contemporary look. But here, too, it's the fabrics that give the sofa star status. The cocoa-brown upholstery, "Nashville Cocoa," is complemented with "Equator Zebra," an Italian jacquard with raised stripes that incorporate metallic threads, creating a rainbow effect. But no market would be complete without a "Wow!" 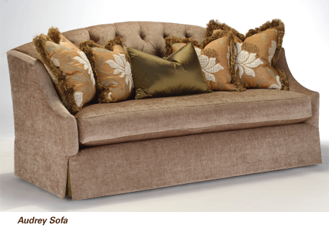 sofa from Marge Carson, and this fall the company is introducing two. 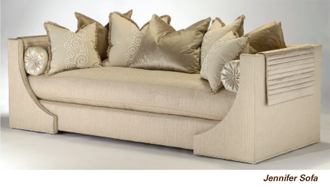 The Jennifer sofa, says Rendino, is reminiscent of an exotic daybed, with channel quilting wrapped around each end and its bracketed frame upholstered to match the rest of the piece. Dressing it up further is the "Titanic Oyster" body fabric, with a shimmery yarn running through it. The accent pillows, however, are especially eye-catching; "Infinite Vine" features textural foam that has been embroidered over, creating a three-dimensional swirl pattern. The second "Wow!" sofa this market is Yvonne, a contemporary French silhouette entirely outlined in nailhead trim. It's being shown in a soft gold-tone chenille, complemented by pillows made of "Endless Wave" - an Italian jacquard with a multi-textural arc pattern. "Endless," in fact, seems to be Marge Carson's theme. With a near-infinite number of fabric-and-frame combinations, these impressive introductions are just that.